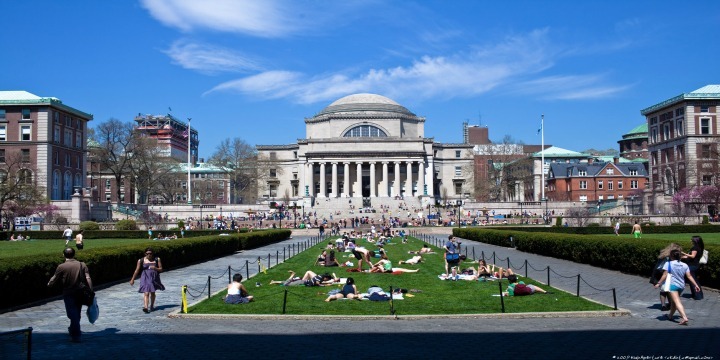 An alumni group has criticized Columbia University’s response to concerns shared about a professor who has been accused of promoting a hostile environment for Jewish students. The professor’s remarks were denounced later that month by a coalition of nearly 250 Columbia and Barnard College alumni, students, faculty, staff, and community members, as well as officials from several national Jewish and Zionist groups. They pointed to the school’s “widely respected Institute for Israel and Jewish Studies, our strong partnerships with Israeli universities, and our longstanding joint degree programs with Jewish Theological Seminary,” which is affiliated with Conservative Judaism. Yet their defense was dismissed as “boilerplate” by ACF, which argued that it failed to address the concerns and requests set forth in the original petition. ACF knocked the university for failing “to acknowledge the anti-Israel climate on campus,” and deflecting by underscoring its ties with the Jewish community. “By referring to Jewish life on campus as if it compensated for Dabashi’s anti-Israel rhetoric, you show that you recognize the link between anti-Semitism and anti-Israel hate speech,” the group argued. ACF restated the demands made in its initial letter, including for the university to issue a public statement denouncing Dabashi’s postings and welcoming “Jewish, Israeli and pro-Israel students”; relieve the professor “of teaching responsibilities until he commits to ending his anti-Semitic rhetoric”; and meet with alumni, faculty, and other concerned stakeholders. A university spokesperson did not immediately respond to a request for comment.